Where the limits of reactor-grade polymers are reached, the performance of custom compounds are just getting started. Compounding, dry-blending and masterbatch developments have taken polymer technology into the 21st century, and Entec Polymers has been a major contributor to this advancing technology. We have an incredibly broad portfolio of resins to choose from for either your base polymer, or the additive technology to improve your final properties. As you focus on new developments, consult Entec on new and unique materials which can take your performance further. We can help you to compatibilize dissimilar materials, improve toughness or stiffness, reduce or increase your coefficient of friction, improve chemical resistance, or change your surface aesthetics. Our technical expertise and internal testing labs can provide services before, during and after your developmental efforts. We have base polymers from polyethylene (PE), polypropylene (PP), polybutene-1 (PB-1), catalloy polypropylene (rTPO), polystyrene (PS), polycarbonate (PC), polyamide (PA), polyester (PET), rubber and acrylic families, as well as the additive technology to push the limits of your final product. Call your Entec sales rep for more information on these resins to meet your specific performance targets. 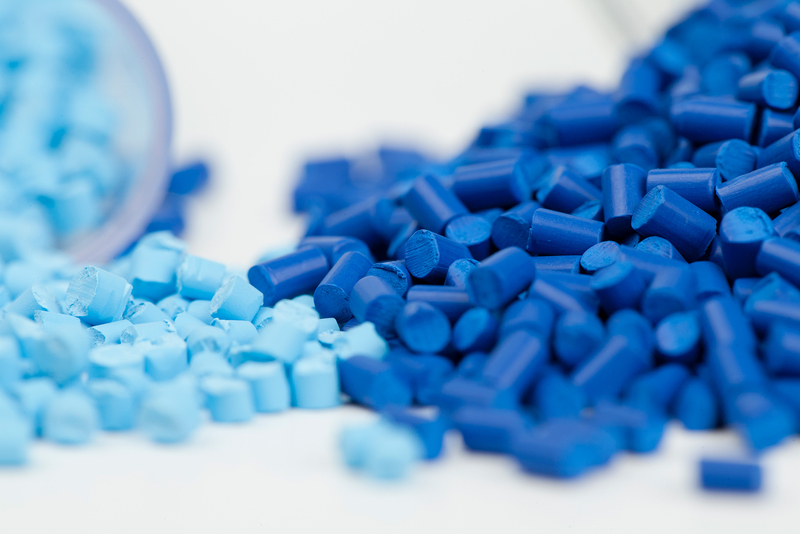 Entec Polymers offers a wide variety of commodity, engineering, high performance and specialty thermoplastics that can used in the production of concentrates and masterbatch compounds. These include common products such as HDPE, LDPE, LLDPE, EVA, PP, SAN, ABS and nylon as well as specialty materials like polybuylene-1 (PB-1) and high performance polymers. Products like PB-1 offer several unique characteristics that make it ideal for use in concentrates and masterbatch compounds. Its low enthalpy of melting, high flow and high shear-thinning characteristics help ensure excellent additive dispersion and it prevents the re-agglomeration of colorants, additives and fillers. PB-1 can be utilized as the carrier resin or as a component of the carrier resin to help with dispersion. Let Entec Polymers help you to improve your existing masterbatch compounds or to help with developing the next generation new ones! Entec Polymers offers a variety of impact modifiers and compatibilizers for use in recycled thermoplastic compounds. Our impact modifiers can be used in polymers such as PE, PP, nylon, polyester, polycarbonate, styrenics and other polymers. These impact modifiers can improve the impact performance at room temperature as well as cold temperature. We also offer compatibilizers that can be used to improve the properties of recycled polymers and mixed-feedstock compounds. These compatibilizers help to “tie together” incompatible polymers to improve their overall properties, especially impact and toughness. Let Entec Polymers help you to improve your recycled compounds by utilizing our knowledge and experience in compounding, impact modification and compatibilization. Entec Polymers offers several thermoplastics for use in hot melt adhesives including EVA, EBA, EEA, Polybutene-1 (PB-1) and metallocene plastomers. These polymers offer the adhesive formulator different options when they are developing their adhesive formulations. For example, PB-1 can help to modify open-time and flow in a formulation while metallocene plastomers can provide for a cleaner adhesive with better viscosity stability, thermal stability and resistance to charring. EBA copolymers offer improved thermal stability compared to EVA adhesive formulations. In addition Entec Polymers offers a number of other types of polymers that could be used in specialty adhesives. These include metallocene plastomers such as Dow Engage and Dow Versify, Olefinic Block Copolymers such as Dow Infuse as well as acrylic, specialty styrenic copolymers, and nylon. Dow Infuse can also be used as a substitute for SIS in pressure sensitive adhesive applications. Let Entec Polymers help you with selecting the best polymer for your adhesive formulation. Entec Polymers offers a wide variety of thermoplastics, elastomers, impact modifiers and compatibilizers for use in wire & cable compounds. We offer a range of thermoplastics, such as PE, PP, EVA, metallocene elastomers, reactor TPOs, and nylons that can be used as the base resin for your wire & cable compounds. We also offer impact modifiers for use in PE, PP, EVA and nylon compounds. These impact modifiers can improve the flexibility at room temperature as well as cold temperature even with high loading levels of flame retardants and other additives. Entec Polymers also offers compatibilizers that can be used to improve the properties of wire & cable compounds by better “tying together” of the polymer and various additives to improve their overall properties, especially flexibility and toughness. Let Entec Polymers help you to improve your wire & cable compounds by utilizing our knowledge and experience in compounding, impact modification and compatibilization.